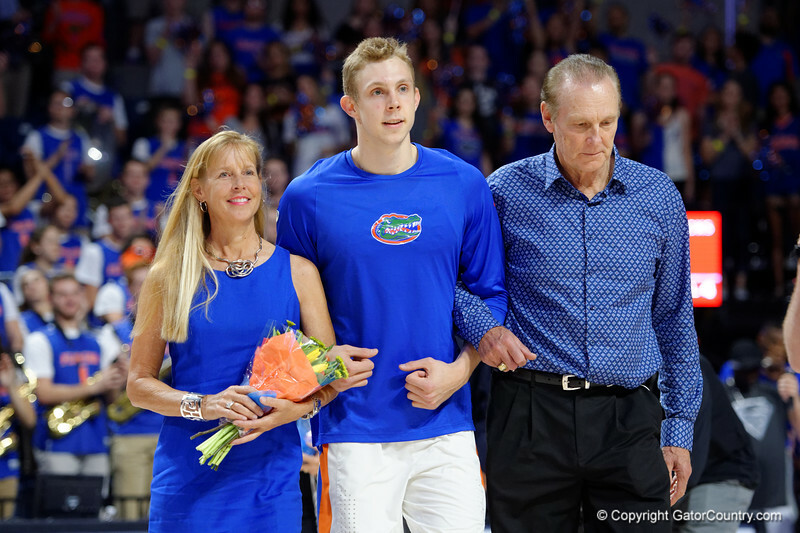 Univeristy of Florida Gators guard Canyon Barry as he is honored during senior day festivities as the Gators celebrate senior day defeating the University of Arkansas Razorbacks 78-65 in Exactech Arena at the Stephen C. O'Connell Center in Gainesville, Florida. March 1st, 2017. Gator Country photo by David Bowie.